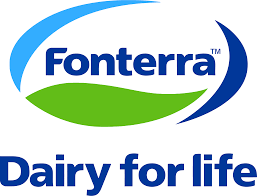 In line with key themes emerging from its new strategy, Fonterra today announced details of its new approach to sustainability on farm. The Co-operative Difference will make it easier for farmers to know what is expected today and in the future, as well as recognise those farmers who are taking steps to produce high quality milk in a more sustainable way. The farmer-owned Co-operative has signalled its new strategy will put sustainability at the heart of everything it does, empower the Co-op to maximise its New Zealand heritage and uniqueness, and help it to remain a globally competitive New Zealand co-operative. Co-operative Affairs Managing Director Mike Cronin says, “Sustainability for our Co-op is about more than the environment. It’s about looking after our people, caring for animals, adapting to changing customer and consumer expectations, and respecting the communities and land where we live and work. supporting farms wanting to improve, while taking a firmer line with those that persistently fail to meet minimum standards, and exercising our rights to suspend collection. “Consumers and customers increasingly want to know that their food choices support a sustainable future. How we farm and make our products needs to reflect these aspirations so we can remain a globally competitive New Zealand co-operative. “Our Co-operative’s strong dairy heritage and pasture-based system separates us from the pack but we must continue to earn our customers’ and consumers’ trust and loyalty. The Co-operative Difference will help us share the good work happening on farm through our Trusted Goodness™ commitment,” says Mr Cronin. The Co-operative Difference was developed in consultation with farmers who wanted their Co-op to simplify and reduce complexity of requirements, provide direction on priority on-farm improvements, and increase pride in the Co-op by recognising high performing farms in a way that aligns with the Co-op’s values.